Imagine - my artwork featured next to iconic printmaker Albrecht Dürer! Fantastical Animal Alphabet exhibition now on at Compton Verney, Warwickshire. 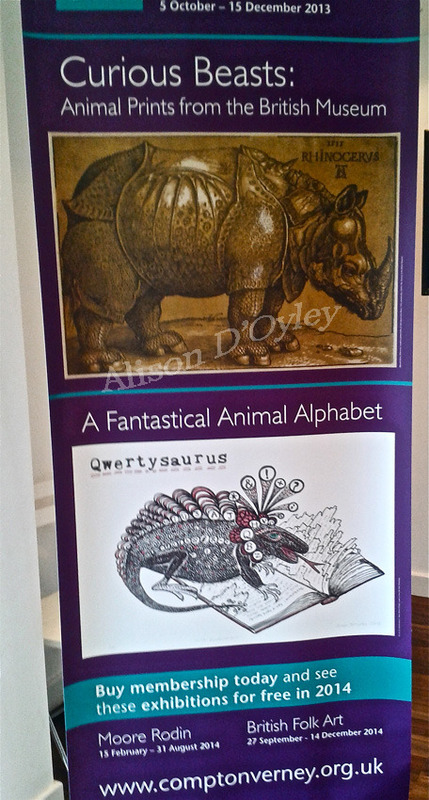 I was amazed and proud when I saw my Qwertysaurus print next to Albrecht Dürer's Rhinocerus print on the poster in the ticket office at Compton Verney!